1. 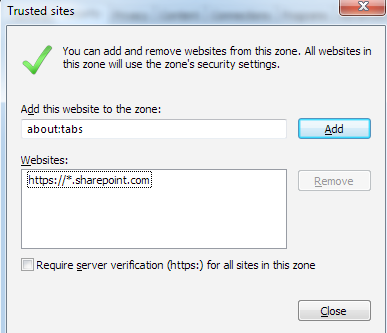 First add the SharePoint site to the trusted zone in Internet Explorer (IE). 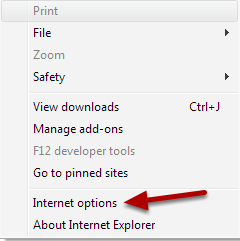 In IE, click Internet options. 2. On the Security tab, click Trusted sites, then click the Sites button. 3. Type https://*.sharepoint.com and click the Add button. 4. The site has now been added to the trusted zone, and a message should be able to be attached. 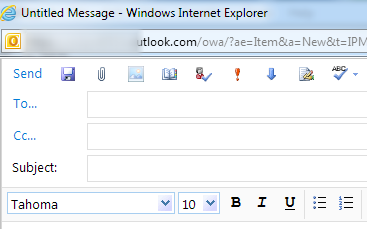 Login to OWA, open a new Message, and click the Attachment icon to open the dialog box. 5. 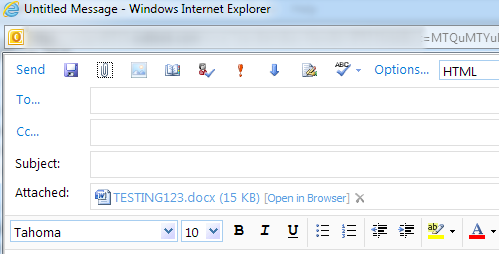 In the File name: text box, type in the URL of the SharePoint site or, if known, the exact URL of the folder that contains the document. Click Open. 6. Once connected, the file(s) should be displayed. Click the file and then click Open; the file should now be attached to the new email message.